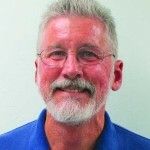 Gene McAvoy is a UF/IFAS Hendry County Extension agent based in LaBelle, FL. Learn how to identify, the survival and spread, as well as management methods for this prolific pest. Learn how to identify, the survival and spread, as well as management methods for this vegetable pest. Learn how to identify, the survival and spread, as well as management methods for this disease. Learn how to identify, the survival and spread, as well as management methods for this wide-ranging pest. Learn how to identify, the survival and spread, as well as management methods for this pest. Learn how to identify, the survival and spread, as well as management methods for this plant pathogen. Learn why it’s important to keep pesticide applications in their place. Learn how to identify, the survival and spread, as well as management methods for this damaging disease. Learn how to identify, the survival and spread, as well as management methods for this malady. Learn how to identify, the survival and spread, as well as management methods for this common disease. Learn how to identify, the survival and spread, as well as management methods for this deflating vegetable disease. Learn how to identify, the survival and spread, as well as management methods for this winged pest. Choosing the right pesticide mix can make the difference between effective control or a failed application. Learn how to identify, the survival and spread, as well as management methods for this pathogen.